Book your summer vacation NOW! Awesome Ocean view condo at North Coast Village that you can afford! This one bedroom, one bath condo has all the amenities of home with a fantastic view. TV also offers other viewing options. at this great Oceanside vacation and corporate rental. We stayed here because my husband was in a race in Oceanside. We are normally hotel stayers but thought we give this a go. The location is perfect, about 150 ft from boardwalk. The view is even more perfect in person. FOR THE PRICE it’s a good deal! I’m probably not the one to review it because I’m super picky!!!!!! My husband is more easily pleased. Here are the pros> clean, pretty well stocked, bare essentials to get you through a short stay as far as kitchen. Nice clean complex, pool, jacuzzi, nice BBQ area, friendly people. Felt safe. Stocked with beach towels. Cons> smelt musty, furniture was old and scratched, bed was mediocre, out door furniture broken, but usable hard to sit in. I would give it a 3 out of 10 for attractiveness. Sorry 😐� I expect more. Out of our four stays over the years in different units in North Coast Village this property was by far the best. The ocean facing balcony with unobstructed view makes all the difference. The condo was basic but immaculately clean and had everything that we needed for comfortable stay. I had one of the best trips and really enjoyed this condo. The views of the ocean and proximity were a joy. The complex has many flavorable amenities and is very convenient to town, beach and biking. 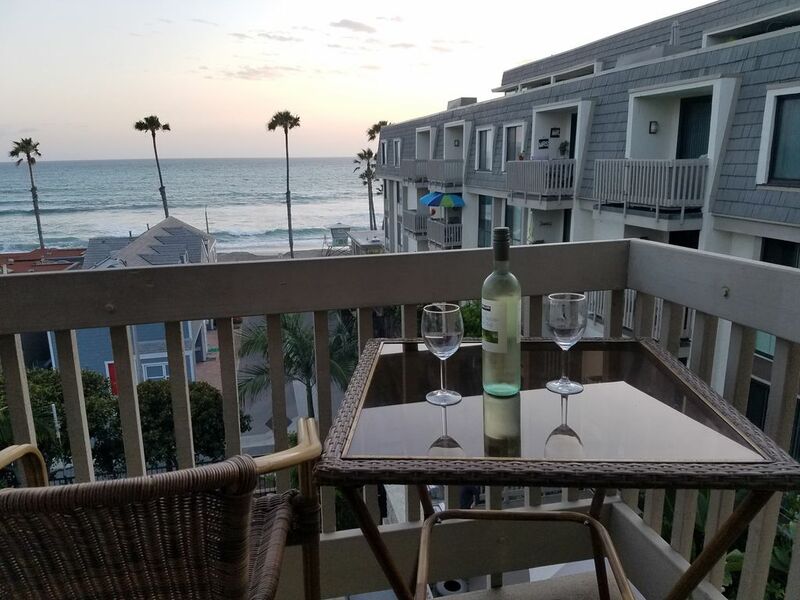 We have stayed at North coast village before period it has a wonderful view from this unit of the ocean and it is pretty unobstructed. However the main bed in the bedroom is horrible, unless you like the feeling of sleeping in a taco. It has a huge dip in the center as if someone very heavy had slept there for years. It does come equipped with almost everything you will ever need while on a short stay. If this property had a new bed and comfortable furniture, it would be amazing. A bit difficult to get in touch with the host over you're in the unit as well. Nice quiet building and clean! by hand,which we really didn't mind doing. We enjoyed hearing the ocean waves at night and the convenience to the pier and harbor-lots of restaurants and activities. Loved the place we stayed at, have been there year after year. CLean great view and parking, would continue to stay there. golf courses are close by.